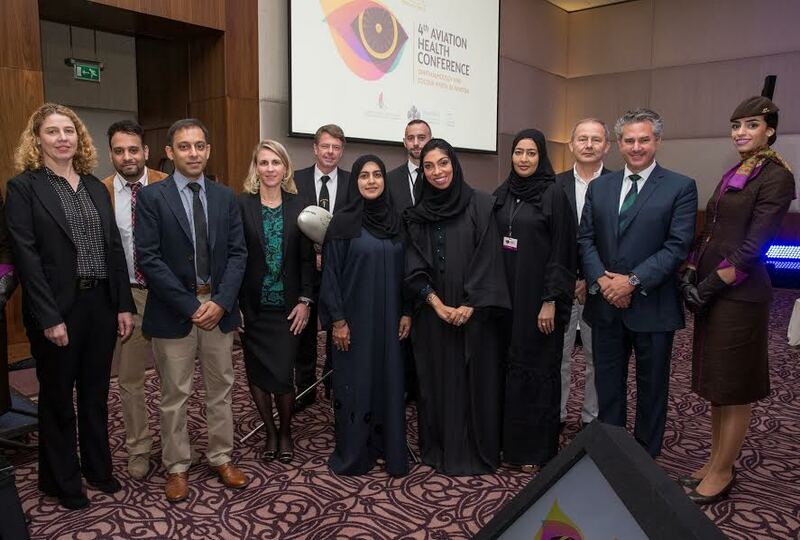 Dr Ansa Jordaan, Chief, Aviation Medicine Section, International Civil Aviation Organization (ICAO), Dr Sohaib Mustafa, Moorfields Eye Hospital Centre-UAE, Dr Imran Ansari, Imperial College London Diabetes Centre Abu Dhabi, Dr Paola Salvetti, Moorfields Eye Hospital Centre UAE. Dr Kobus Kotze, President of the Southern African Aerospace Medical Association (back) Dr Zeeba Al Marzouqi, General Civil Aviation Authority (GCAA), Dr Carlo Breytenbach, Senior AME Etihad Airways Medical Centre (back), Dr Nadia Bastaki – Vice President Medical Services Etihad Airways Medical Centre (front middle), Dr Ismahan Sabt, General Civil Aviation Authority (GCAA), Prof. John Barbur, City University London, Prof Dan Reinstein, London Vision Clinic. The Etihad Airways Medical Centre is a state-of-the art facility, which is staffed by 13 physicians and 15 nurses offering a full range of services including: General Medicine, Aviation Medicine, Travel Health, Occupational Health, Ear Nose and Throat (ENT) Services, Internal Medicine, Dental Services, Physiotherapy, Laboratory and Radiology, 24 hour Ambulance Service and National Service medical checkups for the airline’s staff.